Seth Allen hit a short jumper in the lane with 3.2 seconds left in the second overtime and Virginia Tech beat No. 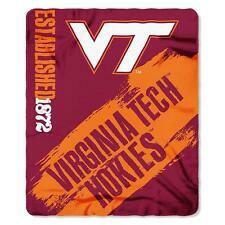 12 Virginia for the second consecutive year at Cassell Coliseum, 80-78. Devon Hall missed Three Point Jumper. London Perrantes made Three Point Jumper. Assisted by Isaiah Wilkins. London Perrantes made Three Point Jumper. Assisted by Mamadi Diakite. London Perrantes missed Three Point Jumper. Ty Jerome made Three Point Jumper. Assisted by Devon Hall. Jarred Reuter made Layup. Assisted by Darius Thompson. Darius Thompson missed Three Point Jumper. London Perrantes made Three Point Jumper. Assisted by Devon Hall. Kyle Guy made Three Point Jumper. Assisted by Darius Thompson. Marial Shayok made Jumper. Assisted by London Perrantes. Ty Jerome made Three Point Jumper. Assisted by London Perrantes. Devon Hall made Three Point Jumper. Assisted by Darius Thompson. Isaiah Wilkins made Layup. Assisted by Devon Hall. Isaiah Wilkins made Dunk. Assisted by London Perrantes. Marial Shayok missed Two Point Tip Shot. Devon Hall made Layup. Assisted by Kyle Guy. Khadim Sy made Layup. Assisted by Justin Robinson. Ahmed Hill missed Three Point Jumper. Ty Outlaw missed Three Point Jumper. Justin Robinson made Three Point Jumper. Assisted by Ty Outlaw. Seth Allen made Three Point Jumper. Assisted by Chris Clarke. Justin Robinson missed Three Point Jumper. Khadim Sy made Layup. Assisted by Seth Allen. Seth Allen made Three Point Jumper. Assisted by Justin Robinson. Seth Allen missed Three Point Jumper. Khadim Sy made Layup. Assisted by Chris Clarke. Justin Bibbs missed Three Point Jumper. Zach LeDay made Layup. Assisted by Ahmed Hill. Chris Clarke missed Three Point Jumper. Justin Bibbs made Three Point Jumper. Assisted by Justin Robinson. Ty Outlaw made Two Point Tip Shot. Justin Bibbs made Three Point Jumper. Assisted by Seth Allen.